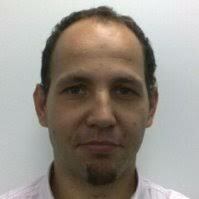 With over 13 years experience working with Oracle tools Lino started his ventures with APEX 3.1 version back in 2008. In early 2015 became freelance APEX consultant. He worked for US, Europe, New Zealand and Australia based clients from all sectors. Working along side APEX RnD founder Dimitri Gielis, who is very well known and respected in the APEX Community as ACE Director, is his biggest motivator. Oracle ACE and regular APAC and AUSOUG conference speaker. Modern app with Universal Theme and APEX 18.1 With all enhancements that latest version of APEX brings we will demonstrate how to easily build responsive apps suitable for mobile and small screens. Also we will explore some of the deeper secrets of Universal Theme CSS that can simplify your design ideas. How difficult can it be to create modern and responsive app using Oracle APEX 18.1 for desktop. In this demo session we will build an app following few basic principals to demonstrate power of APEX UT.